In January 2017, I took on a fitness journey that involved no gym and no fancy equipment. 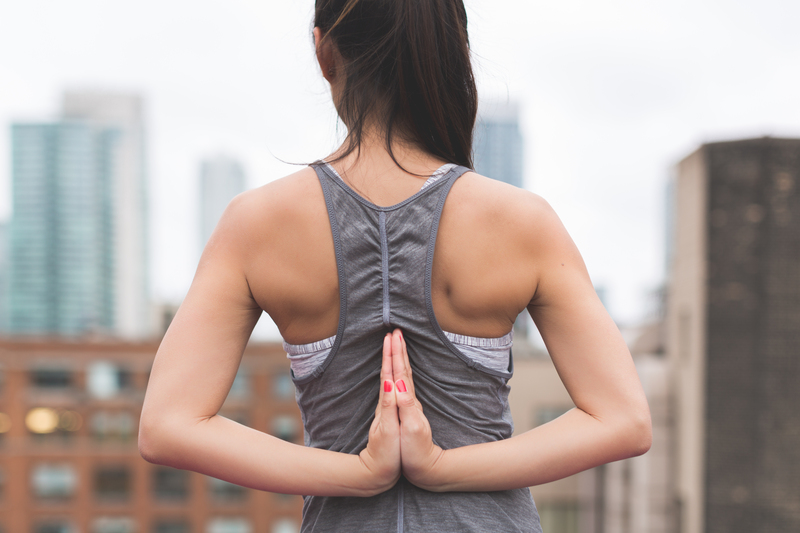 I wanted to do fitness on my own terms, and that meant doing a lot of research to find the best at home workouts for women. Whether you are just getting into exercise or have been at it for awhile, there’s something here for you. Working out at home requires motivating yourself and pushing your limits to see results. You’ll have days when you don’t feel like working out, and you’ll have other days when you feel like you could take on the world. These ups and downs are normal! As you go through these at home workouts for women, remember that consistency is everything. Try making a schedule ahead of time so you know what workout you need to complete in order to see results (see my sample below for an idea of how to structure it). 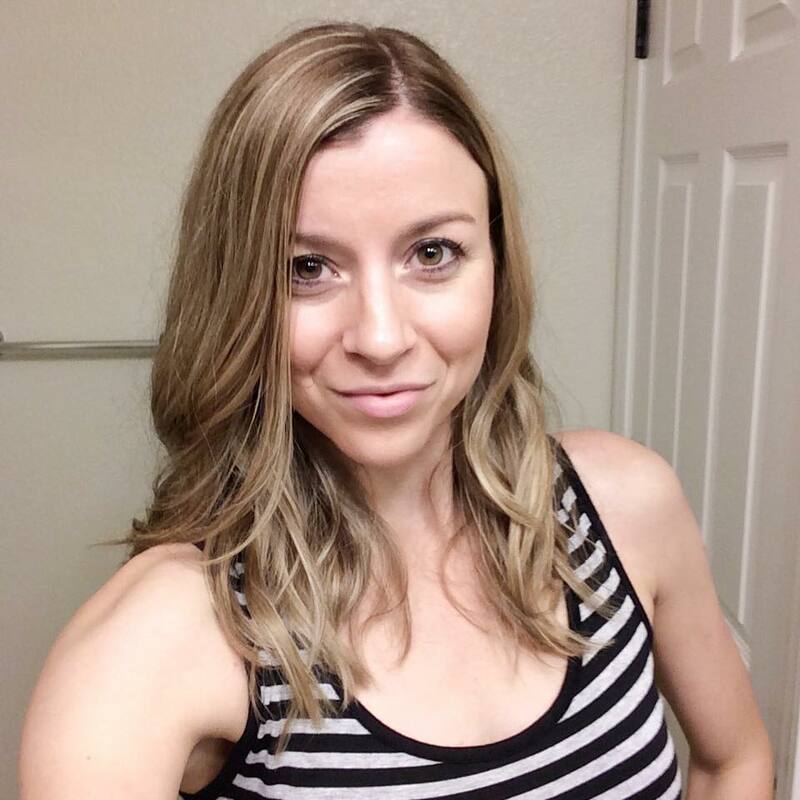 As a female, I developed a mindset of thinking that strength training was going to bulk me up too much, which led me to focusing way too much on cardio and not enough on developing a toned and strong body. When I began my new fitness journey in 2017, I made a vow to myself that I would give strength training a shot…. and I’m SO glad that I did! At first, I was using some non-adjustable dumbbells (I recommend these), but as I began to increase my strength, I decided to invest in the PowerBlock Adjustable Dumbbell Set (the Sport ranges from 3-24 lbs. per hand and the Elite ranges from 5-50 lbs. per hand, with expansion packs available). Since I use free at home workouts for women, I don’t have to worry about forking over $30+ a month for a gym membership, so these dumbbells have already paid themselves off. The initial investment made me gulp a bit, but I’m so satisfied with my purchase and haven’t thought twice about it. If you want to boost your metabolism and endurance, HIIT workouts will be your new best friend. These workouts are often done with no equipment and are sure to make you work up a good sweat. Feeling creative? Try choosing four of the following exercises, then follow this format: 20 seconds on, 10 seconds rest (four times through for each exercise). Take a 30-60 second break and then repeat again. Be sure to warm up and cool down beforehand! Although your core is going to be engaged in a lot of strength training and cardio workouts, it never hurts to add one or two sessions of core work to your at home workout schedule. There are tons of great at home workouts for women on YouTube that focus on abs, so I encourage you to head on over there and find one that fits your needs and difficulty level. As promised, I’m sharing the workout schedule that I like to follow at home. Sometimes I miss a workout, or I change things up because I want to try something new, but I always try to get a minimum of three days in each week (with a goal of five most weeks). Feel free to modify this schedule to your own fitness goals! I also can’t speak highly enough of Fitness Blender (see my entire review here) because they have over 500 free workouts videos that you can do literally anywhere. You can sign up for free and set up a workout calendar to keep track of your progress. I should also note that I try to make my workouts at least 30 minutes long. I rarely go above 45 minutes and I’ve been able to see great results. It’s all about the effort you put in, using proper form, and pushing yourself a little past your comfort zone. Forget the gym! 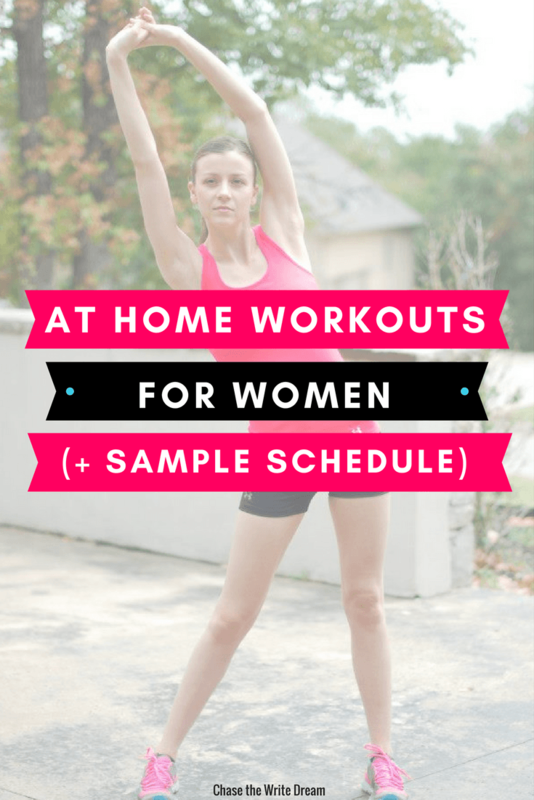 At home workouts for women of all types are available and can easily be modified to fit into your fitness needs and schedule. I challenge you to take the leap and get started today! Yes, I LOVE Fitness Blender! I used one of their workout programs to kickstart 2017 and it helped me get so much stronger (as well as into a regular workout routine). I love that technology has given the world access to free fitness! You’re so right… a lot of people can’t afford gym memberships, so it’s great to have other options that don’t cost a dime. I personally prefer working out at home to a gym anyway because I feel like I push myself more and can focus on me, rather than what everyone around me is doing.